Chennai, March 21: Chennai Super Kings will donate proceeds from their first IPL home game to families of the CRPF personnel martyred in the Pulwama terrorist attack, with skipper Mahendra Singh Dhoni presenting the cheque. 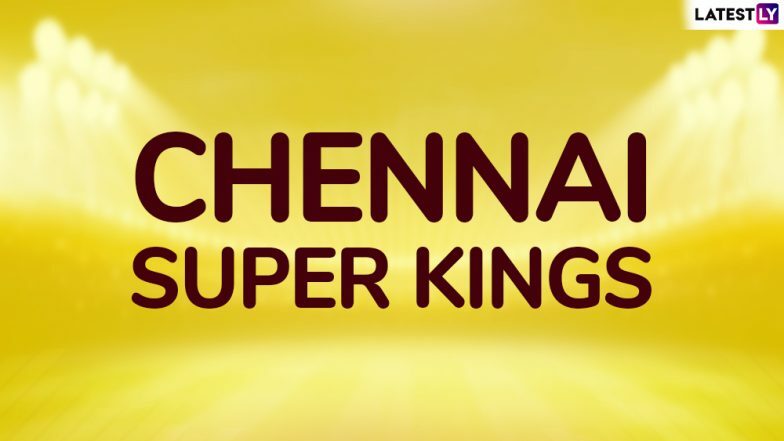 The 12th Indian Premier League will begin with defending champions Chennai Super Kings taking on Royal Challengers Bangalore and ticket proceeds of the game, scheduled to be heal at the MA Chidambaram Stadium on Saturday, will go to the kin of the CRPF personnel who lost their lives in the February 14 terror attack, said CSK's director Rakesh Singh. "ChennaiIPL first home match ticket proceeds will go towards the families of the victims of Pulwama Attack. Captain MS Dhoni, who is honorary Lt. Colonel of the Indian territorial army, will present the cheque!" Singh said on the team's twitter handle. Tickets to the much-awaited game were sold out within hours of the opening day sale. VIVO IPL 2019: Virat Kohli Begins Practice Session at M Chinnaswamy Ahead Season Opener RCB vs CSK (View Pics and Video). More than 40 jawans lost their lives in the attack perpetrated by Pakistan-based terror outfit Jaish-e-Mohammed (JeM) in South Kashmir's Pulwama. A convoy of 78 buses, in which around 2,500 CRPF personnel were travelling from Jammu to Srinagar, came under attack on February 14. As a mark of respect for the personnel who lost their lives, Indian cricketers recently sported special army caps during the third ODI against Australia and donated their match fee to the National Defence Fund.